UCD midfielder Gary O'Neill says that Shamrock Rovers are 'by far' the best team he's played against this season. 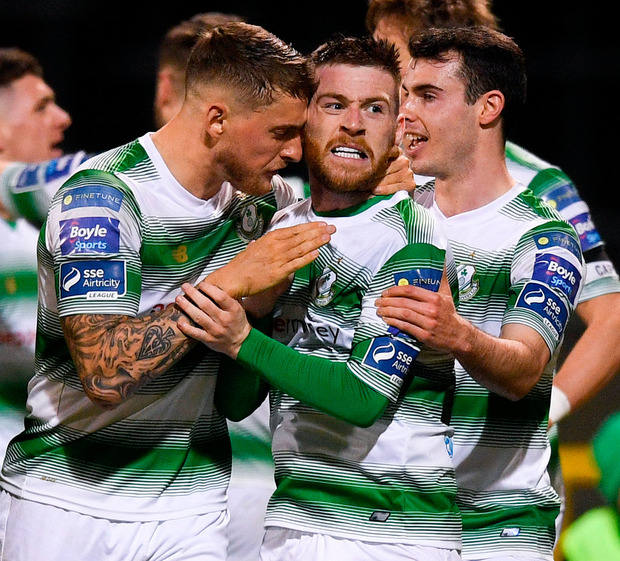 Rovers are eight points clear of Bohemians at the top of the table and ten clear of defending champions Dundalk. They have played two games more than the chasing pack, but neutral observer O'Neill - who is enjoying his first season at top flight level - believes that the quality of Rovers' midfield sets them apart from the rest. UCD lost 2-1 away to Dundalk and 3-1 away to the Hoops but says the difference with the showdown against the latter was that their midfield quality forced the students to change their style. "I've never seen anything like it," said the Kerryman on the new LOI Weekly Podcast. "They had Greg Bolger, Ronan Finn and Aaron McEneff in the middle, Dylan Watts left, (Airtricity/SWAI Player of the Month) Jack Byrne wide right. They had no wingers. The middle of the pitch was so congested and they were popping it around us. "We just had to go 4-5-1 and let them have it. It was my first time in five years being here where we've ever let a team have the ball. They were just too good for us. Rovers, for me, where by far the best I've played against all year. With players dropping into pockets and their understanding of the game, we couldn't get near them." O'Neill was joined on this week's podcast by former Shelbourne boss Owen Heary who spoke about the circumstances behind his departure from Tolka Park at the end of last season. Heary also offered his take on the FAI saga - with the Irish Independent's Daniel McDonnell kicking off the pod with a report on what happened at government buildings on Wednesday.